CHARLOTTE – Put on your thinking caps, because two new experiences are coming to Discovery Place Science! Today, the Museum announced that the exhibition space on Level 3 of the Museum will be closed to the public for the installation of Think It Up. This new exhibition will complete the Level 3 renovation, which includes the maker lab, Thinker Space. The full experience will be celebrated with a grand opening on Saturday, August 26. Made possible through the support of Lowe’s as Founding Sponsor, Think It Up and Thinker Space are inspired by the fundamental human desire to make and create. These new hands-on spaces will provide a platform for learners to collaborate, share ideas and develop fresh skills, while exploring new materials, tools and processes to inspire design thinking. Guests will have the unique opportunity to test ideas, take risks and persevere through challenges. Earlier this year, the entirety of Level 3 at Discovery Place Science was transformed from meeting space into a 5,000 sq. ft. bright canvas for a state-of-the-art hands-on, minds-in exhibition and lab. Funds for the renovation were generously provided by The City of Charlotte, who owns the Discovery Place Science facility. Think It Up is a re-imagination of the popular Discovery Place Science exhibition of the same name formerly located on Level 2 of the Museum. 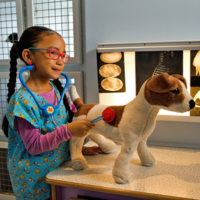 New and updated exhibits will allow guests to experiment, collaborate and learn-by-doing through fabrication stations and interactive experiences that provide visitors with opportunities to engage with both DIY (do-it-yourself) and DIT (do-it-together) projects. Earlier this year, Thinker Space opened in Beta mode to test new curriculum and activities with guests. This interactive maker lab encourages guests to take risks and experiment with new tools and materials to create something from scratch. Guests can follow along with facilitated building prompts or make their own design using tools (from simple hand saws to advanced 3D printers) and resources (metal, wood, wires, microchips, etc.) to hand-craft unique creations. 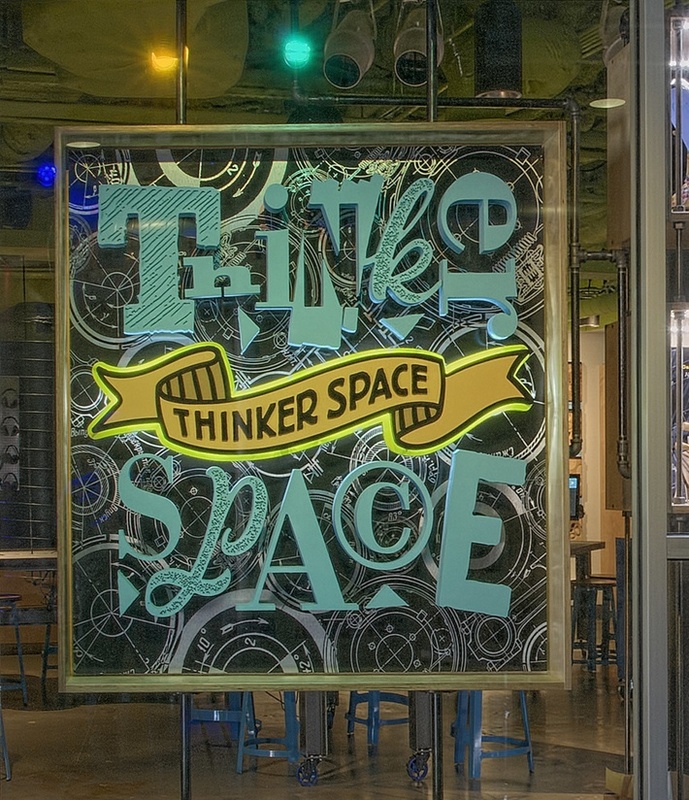 Think It Up and Thinker Space are included with Discovery Place Science admission. Discovery Place Science admission is $17 for adults (14-59); $13 for children (2-13); $15 for seniors (60+); and free for Discovery Place Science Members and children younger than 2, plus tax. IMAX® tickets may be added for an additional $5 per person. Discounts are available for groups of 15 or more. Children age 13 and younger must be accompanied by a responsible adult while in Discovery Place. 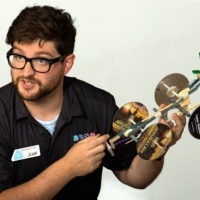 Guests can purchase tickets online at science.discoveryplace.org., via phone at 704.372.6261 or in person. 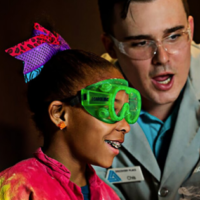 Discovery Place is a 501c3 nonprofit that provides STEM education to the Carolinas through four distinct museum experiences at Discovery Place Science, Discovery Place Nature and Discovery Place Kids, interactive educational programming, professional development training and community outreach initiatives. In 2017, Discovery Place was named as a finalist for the National Medal by the Institute for Museum and Library Science.